Hexagon Composites ASA (Hexagon Composites) today announced that it has signed a joint venture agreement with Nel ASA (Nel), and PowerCell Sweden AB (PowerCell) for the development of integrated hydrogen projects, including those that focus on maritime transport. "Since we announced the intention to join forces, we have received numerous requests, ranging from governmental organizations to maritime transportation. We see significant opportunities for the joint venture and believe it is well positioned to deliver unique customer value," said Jon Erik Engeset, President and CEO of Hexagon Composites. "The collaboration with these strong market leaders is a logical step in shaping the emerging market for zero-emission power solutions." The equally owned joint venture is set to initially focus on opportunities within the maritime and marine segments, as well as projects to capture stranded renewable energy. "The entity will create a one-stop-shop for customers wanting to utilise hydrogen technologies across the value chain from renewable hydrogen production to storage, distribution and dispensing, as well as generating electricity via fuel cells," explains Hexagon Composites. 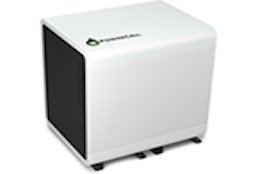 In January, PowerCell announced that, along with fellow members of the MARANDA consortium, it had been granted funding from the European Union (EU) for the development of a fuel cell system for marine applications, which will be based on the company's PowerCell S3. To erroneously certify a short delivery. As province passes tax breaks for LNG projects.